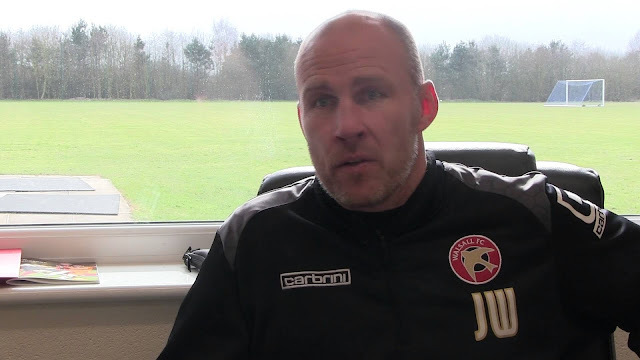 Walsall manager Jon Whitney has spoken to the local press and confirmed that, as we reported last week, Stockport County striker Danny Lloyd is among several players the club are scouting as they look to add to their squad over the summer. Speaking via the Express & Star, Jon said; "I sent Sharpy to look at him about three weeks ago but he didn’t have his best game. We have had a look at quite a few of the non-league players. "I have been down to Barrow. We have looked at Kidderminster over the past weeks. A striker at Fylde. There are quite a few we are looking at. But he (Lloyd) didn’t really impress in the game we watched. Some of the reports we have had though are really positive. "But for me, I trust Sharps' judgement. We will watch him again. We won’t do it off just one game. He might have had a bad stomach or a bad night’s sleep. We usually watch two or three games before we give a final analysis."